Editor-in-Chief’s Note: This post was written by Brett and Kate McKay and originally ran on The Art of Manliness. In a previous edition of the Man Knowledge series on Art of Manliness, we discussed the fascinating history of invisible ink. 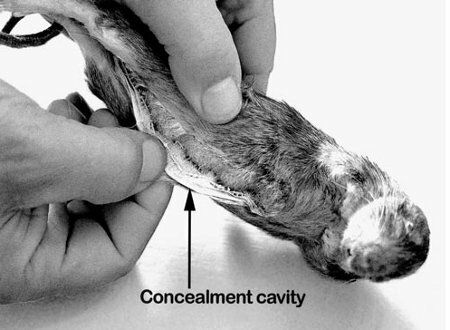 In doing the research for that post, we came across an equally interesting tool in the spy’s bag of tricks: the concealment device. Invisible ink was handy for sending secret messages, but sometimes spies and soldiers needed to hide other kinds of objects, or simply wanted a double-layer of protection for their coded missives. 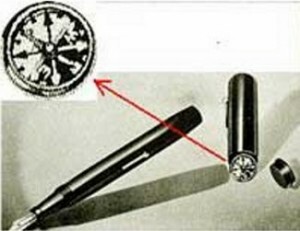 Concealment devices or CD’s looked like normal, everyday objects but actually contained a secret compartment or cavity, inside which could be placed film, notes, eavesdropping equipment, and various other types of contraband. They were used to smuggle escape aids to prisoners of war, exchange information with friendlies, monitor the enemy, store secrets for safe keeping, and transport items without arousing suspicion. Roman generals placed secret messages in the bandages wrapped around the limbs of wounded soldiers or sowed a message into the sole of a courier’s sandal. In later centuries, dignitaries hid their correspondence in barrels of beer and hollowed out bullets. Regardless of whether the CD was active or passive, it had to be something that would not arouse suspicion if the agent was searched or scrutinized—an item that the person would normally have in their apartment or carry around. 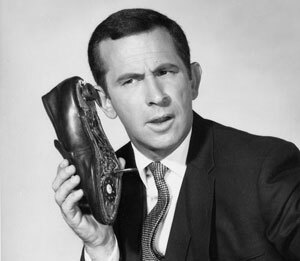 Concealment devices also had to look indistinguishable from the non-modified versions on which they were modeled. 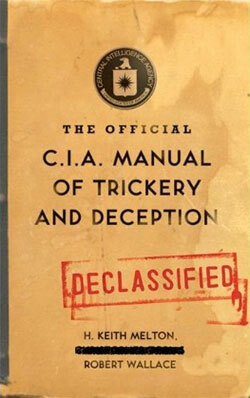 To accomplish this, intelligence agencies like the CIA’s Office of Technical Services created labs capable of fabricating everything from furniture like bookshelves and wine racks, to leather goods like wallets and handbags, to books and electronics—all from scratch. The lab consisted of a myriad of special shops that were each staffed by expert craftsmen—carpenters, leather workers, bookbinders, tailors, seamstresses, and more—who specialized in a certain area of production. 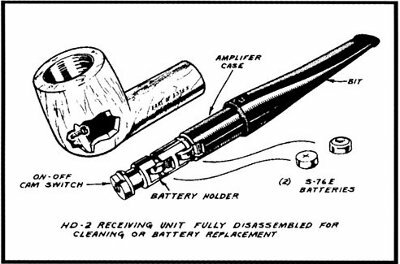 During WWII, a pipe was made with a secret cavity that sat in the pipe’s bowl, right below the compartment that held the tobacco. You could stash your secret message in that cavity, and if you were about to be compromised, you simply twisted the pipe stem and the top compartment opened, allowing the burning embers to destroy the message. 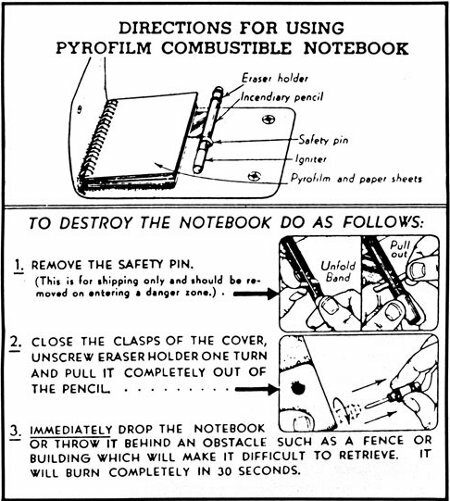 To accomplish a similar task, agents later used flash paper that would instantly and smokelessly burn up when touched by a cigarette. And when smoking became less popular, spies used water-soluble paper that could be dissolved in coffee cups or even swallowed. 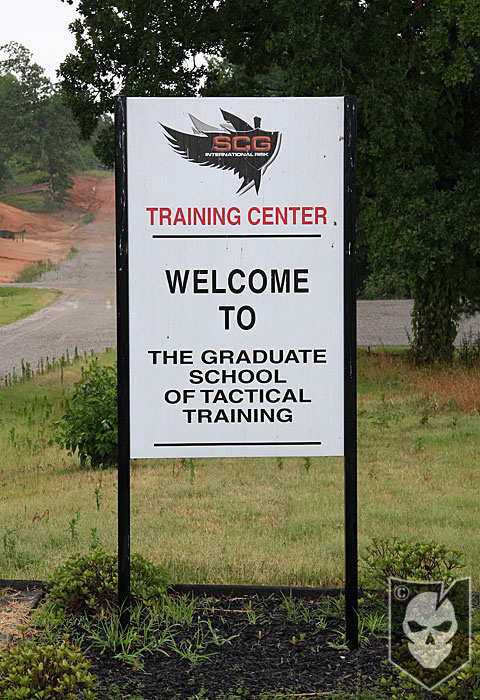 If a pilot was shot down and taken prisoner, but hoped to escape, he needed to know the lay of the land—where he was and how to get to safety. Thus secret maps were an important tool for the fighting man. 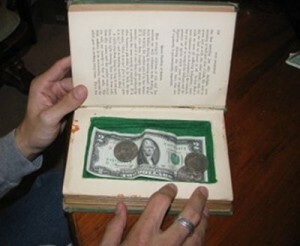 But paper maps were hard to hide; they crinkled if you were getting a pat down. 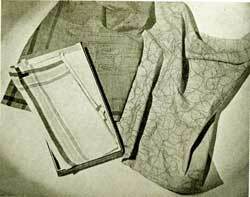 So Christopher Clayton Hutton, working for the British MI9, came up with the idea of printing maps on pieces of silk. The maps were sewn into the lining of pilots’ bomber jackets, stashed inside a secret compartment in the heels of their boots, or rolled up inside pencils and even cigars. Hutton also created maps on a special tissue paper made from Mulberry leaves. It had the consistency of onion skin, but was very durable and could be soaked and folded without becoming damaged or creased. 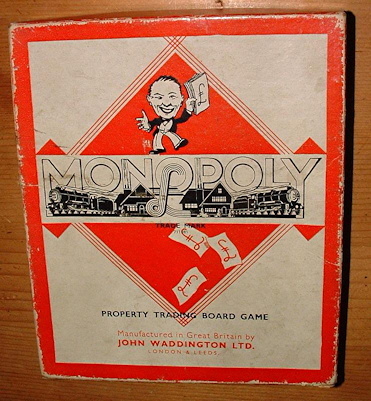 These tissue paper maps were sandwiched between the fronts and backs of playings cards, and could be revealed by wetting the cards and peeling them apart. Each of the 52 cards contained a segment of the map, while the Jokers included the code for how to put the pieces together. Maps were also printed invisibly on handkerchiefs and could only be revealed when soaked in a certain chemical. 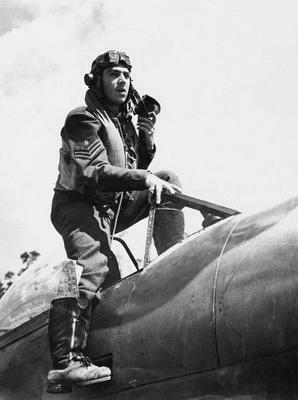 Even if a POW had a secret map at his disposal, without a compass, getting back to safety would have been a challenge. Thus hidden compasses were one of the most popular concealments during WWII, and they took a variety of forms. Compasses were hidden in pipes, brass buttons, bars of soap, and even unshelled walnuts. Innocuous-looking items were also made with parts that could function as compasses in a pinch; for example, the clip of a pencil was magnetized and when removed and balanced on the pencil’s tip, would point north. 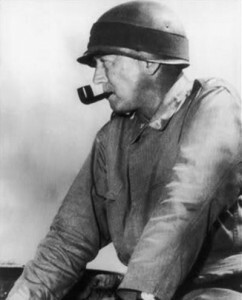 The items contained in mess kits were good candidates for concealment devices as they seemed very ordinary for a solider to be carrying, and they would be accepted into POW camps. 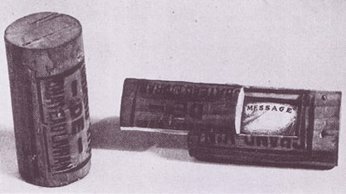 Shaving cream and toothpaste tubes concealed capsules which contained messages or maps. The top of the tube contained a bit of cream so that if the tube was tested, it would appear to be a normally-functioning item. 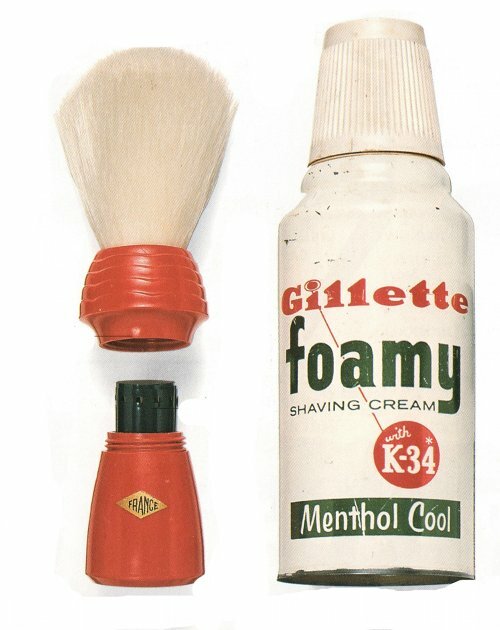 Metal shaving cream cans were made with false bottoms that included a secret compartment. (Such “diversion cans” are still sold as household secret safes.) 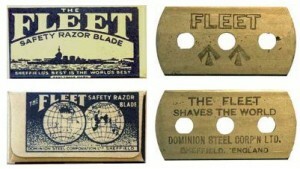 And shaving brushes with hollow handles could be used by spies to hide a roll of film. 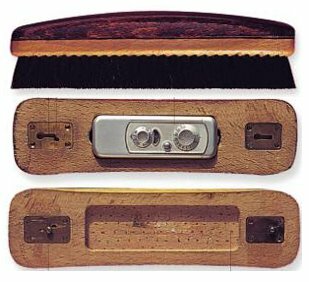 With its small size and close-focusing lens (the better to copy documents with), the Minox camera was popular in espionage circles and hidden in a variety of concealment devices, like this gentleman’s clothing brush. 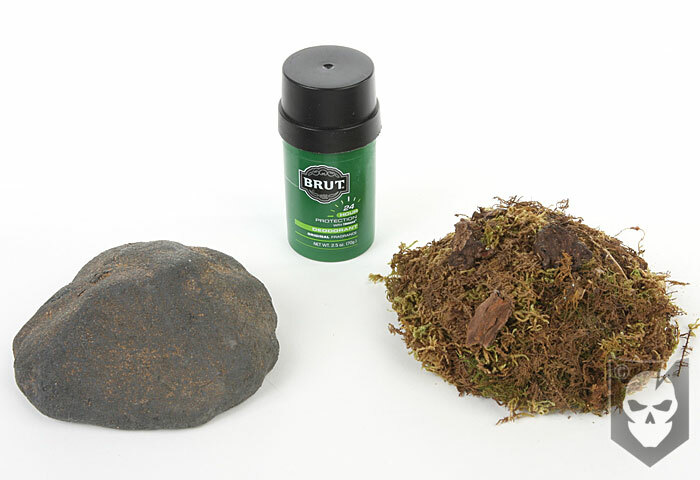 The two halves of the brush discreetly locked together and could only be unfastened by inserting a pin into a camouflaged hole. 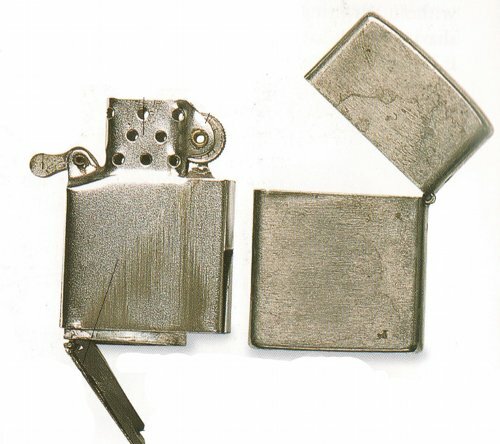 Lighters were very common items for a mid-century man to be carrying around, so it was a perfect candidate for transformation into a concealment device. Some, like the lighter above, were made with special bottoms that held a small secret cavity. 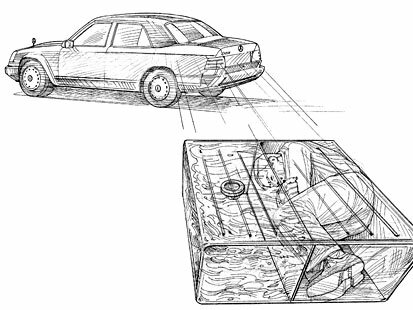 And in the 70s, as technology got better and listening devices got smaller, eavesdropping equipment was moved from large passive concealments like bricks to small active concealments like lighters. 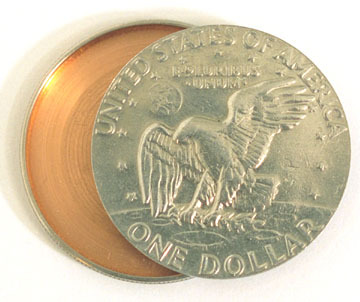 Hollow coins were first used by Soviet agents in the 1930s to conceal microdots, soft film, and ciphers. Americans discovered the ruskie’s ingenuity in 1953, when a paperboy in Brooklyn dropped a nickel that surprisingly split open when it hit the ground to reveal a secret compartment within. 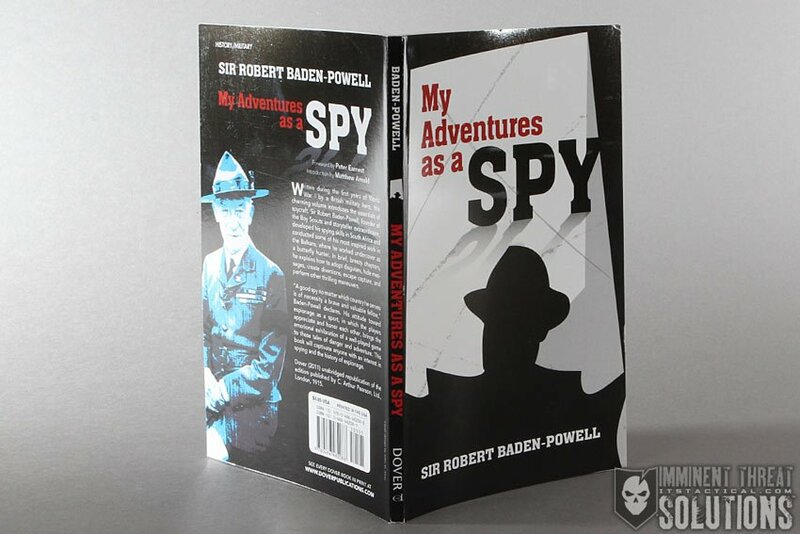 The coins had been traded back and forth between Soviet spies operating in New York City.